The Lake Turkana Festival features unique performances and cultural traditions of at least twelve ethnic tribes: El Molo, Rendille, Samburu, Turkana, Dassanatch, Gabra, Burji, Borana, Konso, Sakuye, Garee and Waata. The presentation of their customs and living conditions, their spectacular traditional costumes, arts and crafts, dances and music is a unique and fascinating experience. Stay at the 5* Desert Rose Lodge for 4 nights and fly by privately chartered plane to the Turkana Festival. Lake Turkana is the largest desert lake in the world and extends for 288 kilometers up to the Ethiopian / Kenyan border, home to some of the most interesting cultures in the world. This Quest will be a truly exceptional opportunity to photograph a myriad of colorful and fascinating cultures while exploring the Northern Kenya region, an area regarded by many anthropologists as the cradle of humankind. In Lewa we will offer early morning and late afternoon game drive safaris to find and photograph Africa’s big 5 and many other species. Join us on the optional extension to Uganda to photograph Gorillas! Optimum photo safari with only 3 guests per vehicle in Land Rovers, with open views on all sides. Stunning sunrise and sunset landscape photography opportunities. Fly to the Turkana Festival by our own chartered plane. No long drives! Stay at Desert Rose Lodge for 4 nights, a Five Star Lodge, while photographing the Turkana Festival. Photograph unique performances and cultural traditions of at least twelve ethnic tribes at the Turkana Festival. 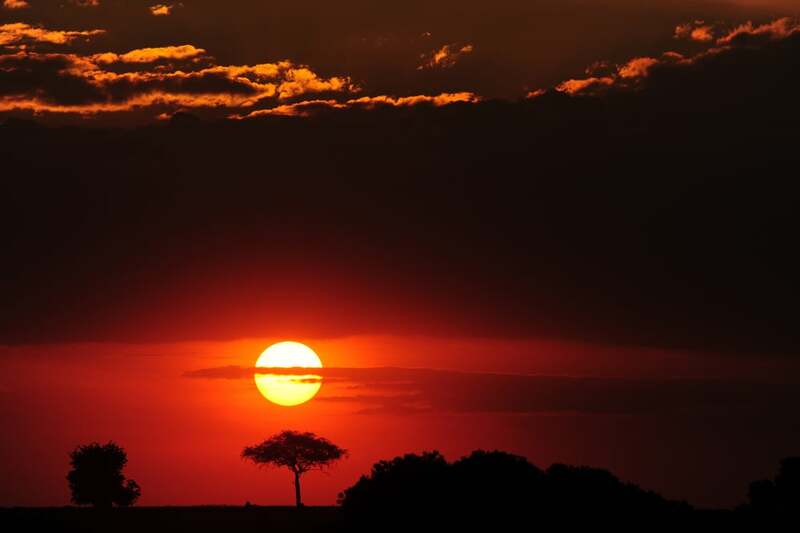 Award-winning safaris with Africa’s most knowledgeable guides. Portrait lighting techniques using one flash and multiple flash set ups. How to tell a story with your images. How to pose and photograph locals. Arrival in Nairobi, Kenya (NBO) where you will be met and transferred straight to the wilderness for a night in Ololo Safari Lodge, on the edge of Nairobi National Park. Transfer to Wilson airport and fly to Lewa downs for the most fabulous game viewing in one of the world’s top locations for wildlife photography. Take a ride with us in off-road jeeps on safaris that will put you and your camera within arms reach of lions, giraffes, elephants and cheetahs. Capture breathtaking images of the "Big Five" Lions, Leopards, Elephants, Buffalo and Rhinos. 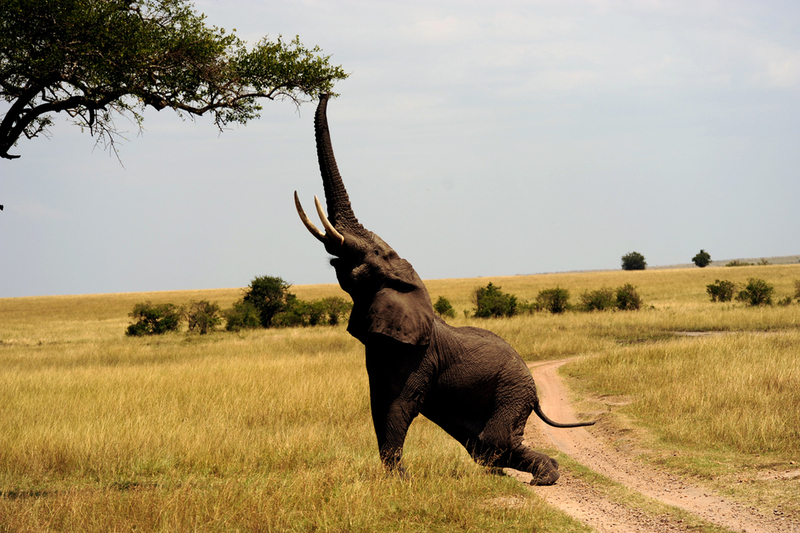 Each day features early morning and afternoon game drives for amazing wildlife photography. The Lewa House is booked exclusively for our own group, comprising a cosy main house and separate cottages. Its home-like atmosphere offers the perfect base of comfort and charm for exploring the beauty of Lewa. Two nights at Lewa House. the Jade Sea, volcanoes, deserts, mountains, and lakes will appear and disappear beneath your wings as you head toward Desert Rose Lodge. Land at Kowoop Airstrip. beautiful walks to explore, while you prepare for the days to come at the Lake Turkana Cultural Festival. Overnight at Desert Rose Lodge. Depart early while the light is good, flying low all the way. Fly over the Suguta Valley, through Painted Valley, Naibatum Crater, Central Island, fly low over flocks of flamingoes, and the amazing Jade Sea. Keroli Springs to name but a few. On this day you will have a picnic lunch enroute and plenty of cold drinks on the plane. Late afternoon, land at Loyangalani where Desert Rose will have set up a simple fly camp. 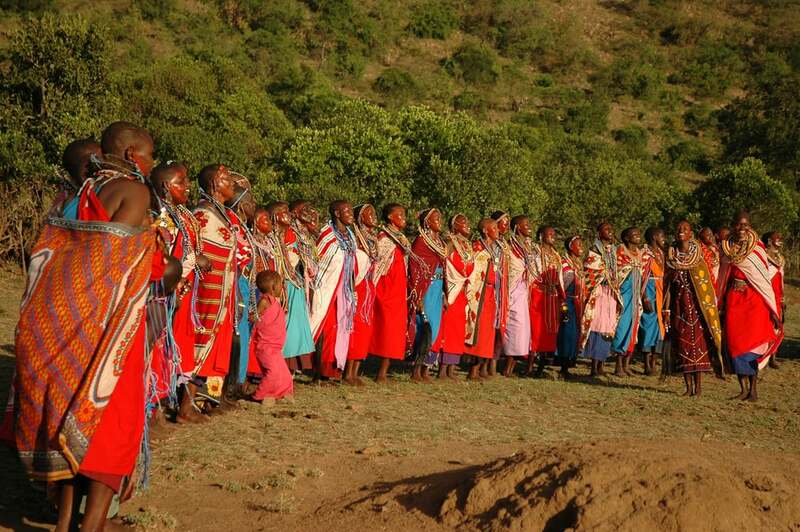 This evening photograph the gathering of tribes as they make their way to the Cultural Festival. Overnight at Desert Rose Fly Camp. 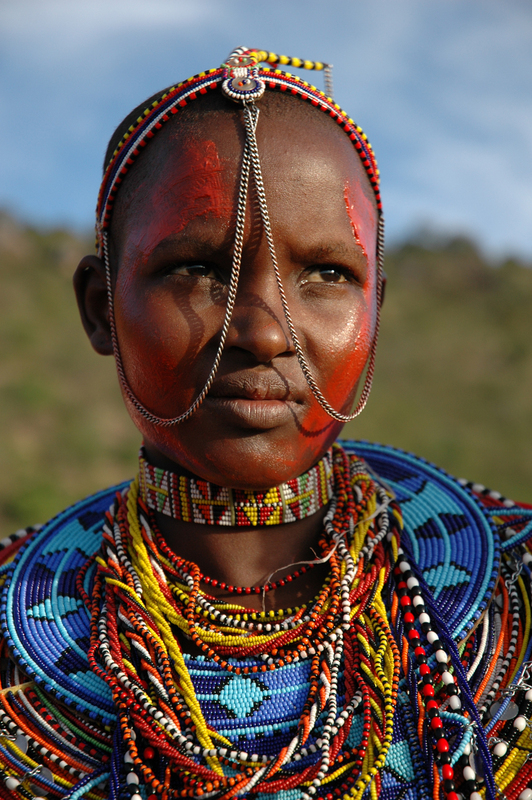 Spend a full day at the Lake Turkana Cultural Festival, where you will be able to photograph incredible colorful tribes like the Rendille, Gabbra, The El Molo and The Turkana. Overnight at Desert Rose Fly Camp. May 22 - Fly back to Nairobi or choose the OPTIONAL EXTENSION to photograph Gorillas in Uganda on our 5 day/4 night Gorilla "Fly in Safari in Bwindi." Early morning shoot with the tribes. Fly back to Nairobi. Book your flights back home this evening. Fly from Nairobi to Entebbe and spend the night in Entebbe, Uganda. After breakfast, fly to Kihihi followed by an hour drive to the Buhoma Lodge, Bwindi Impenetrable Forest. The park contains almost one half of the world's population of 850 endangered Mountain Gorilla, making it an extremely valuable conservation site. May 24, 25 - Gorilla Trekking for two days. Early morning after breakfast, drive to the briefing place and start of the Trail. If the guides know that the Gorillas are further away, you may need to drive a bit more to the starting point. According to The Ugandan Wildlife Authority, there is a 95% chance that you will come across gorillas on your trek. The journey will be an exhilarating one: we will push our way through dense jungle, thick bamboo, past local homesteads and up forested hills. Tracking times do vary and can be anything from a little as 1.5-6 hours! For this reason you have to be in good physical condition! Your efforts will be rewarded with your first sighting of the gorillas, as these gentle giants shyly approach you and you come face-to-face with one of nature’s greatest animals. It’s an extraordinary feeling sitting in the dense forest knowing you are with a few of the last remaining Mountain Gorillas. We have secured two permits for each photographer. Overnight Buhoma Lodge, Uganda. After breakfast, prepare for the return journey. Fly back to Entebbe this morning. Please book your flights back to the USA from Entebbe, Uganda (EBB). Most flight will depart around 11pm. Mirjam is a New York City based travel photographer specializing in international environmental portraiture, landscape photography and adventure images. Born and raised in the Netherlands, she has photographed in more than 75 countries, including many of the most exotic places in the world. Mirjam's photographs are indicative of her unique capacity to personally connect with diverse cultures and communities. Her eye for location lighting is highly stylized and works to illustrate and heighten the unique characteristics of each international locale. She is able to transcend cultural and language barriers with an intangible spirit that is conveyed in every image. Her work has appeared in AFAR, The New York Times, AARP, Outdoor Photographer, PDN, American Photo, Popular Photography, Digital Photo, Departures, MSN Travel. Lake Turkana, formerly known as Lake Rudolf, is a lake in the Kenyan Rift Valley, with its far northern end crossing into Ethiopia. It is the world's largest permanent desert lake and the world's largest alkaline lake. The Lake is also known as the "Jade Sea" because of its remarkable blue – green colour. The Lake Turkana area is regarded by many anthropologists as the cradle of humankind due to the abundance of hominid fossils. The Lake Turkana Cultural Festival has become an important element of Kenya's annual events. The festival encapsulates the traditional knowledge, beliefs and values of the area's communities. This annual event provides an opportunity to explore Northern Kenya and enjoy a myriad of colorful cultures while discovering the treasures of the region. The event features the unique performances and cultural traditions of at least twelve ethnic communities who live in Marsabit County: El Molo, Rendille, Samburu, Turkana, Dassanatch, Gabra, Burji, Borana, Konso, Sakuye, Garee,and Waata. The presentation of the customs and living conditions of the twelve tribes, their spectacular traditional costumes, arts and crafts, dances and music is a unique and fascinating experience – particularly in light of the stunning geographical characteristics of the region. Temperatures will be between 80-90 degrees. Dress should be casual and comfortable. Breathable fabrics such as cottons are preferable and no bright colors. Pack light-you can do laundry at the lodges. Sunblock with SPF 50, Large-brim hats & UV protected sunglasses, comfortable/waterproof hiking shoes and a light jacket/windbreaker. The evenings can be cooler and you may need some warm clothing: sweatshirt, long sleeve fleece, and long pants. pills. Typically you begin taking the pills 2 days prior/post trip and once a day while in Kenya. Please speak with your doctor for his/her dosage recommendations. Visit www.cdc.gov for additional information. It is advisable to try and avoid mosquito bites by using repellent and by wearing suitable cover-up clothes in the evening. All meals at the camp are included. Additionally, nutritious meals catering to guests with specific diet-dependent conditions such as diabetes, heart disease and gluten-free, as well as unique dietary preferences including, macrobiotic, raw and vegan diets are available upon request. Only bottled mineral water, that will be available in our safari camp, is drinkable. You are required to carry your certificates of vaccination against YELLOW FEVER in order to enter both Kenya and Uganda.Bring your passport and a copy of your passport kept in different place. For Uganda you can buy a visa on arrival for $100 USD. Passports must be valid for at least 12 months. You are required to show proof of Travel Insurance. Your check in luggage MUST be a duffel bag. You can have 15kg for your check in bag plus a camera bag. Make sure to check the weight restrictions for your international flights. The currency is the Kenya shilling. Credit cards (Visa and Mastercard) are widely accepted, a commission charge is normally added to any transactions using a credit card. Any US dollars that you bring with you must be crisp and dated 2003-present. Bills older than 2003 will not be accepted by the banks or merchants. Karibu Kenya! - Welcome to Kenya! Jina lako ni nani? - What is your name? Jina langu ni _____ - My name is _____. Lala salama - Sleep well/Good night. $9200 based on double occupancy. Single supplement is an additional $1650. Optional Gorilla Extension based on double occupancy is $4900. Single supplement is $1200. Gratuities for all local guides, camp/lodge staff, porters, and security escorts.